Did you know: Some of the first signs of diabetes can occur within the mouth? Diabetics may be more at risk of oral health problems. Due to a compromised immune system, diabetics will also commonly experience reduced resistance levels to fight off gum disease, and other oral health complications that people without diabetes would usually efficiently recover from. This means that by paying close attention to your oral health, it may lead to an earlier diagnosis and treatment. If you suffer any of the following symptoms, and your immune system seems to be struggling to fight off the infection or heal itself in a timely manner, you may wish to consider a trip to your doctor. What are the most common oral health issues, diabetics face? While a dry, burning mouth and ulcers may be self-explanatory, if you have never experienced any of the above ailments, it may be hard to identify you even have an issue. On top of this, some people may find the idea of an oral health issue embarrassing so discussion surrounding these health issues is rare. If you suffer any of the following symptoms please don’t hesitate to contact our caring, friendly staff to discuss your concerns. To help you out, we have listed some of the less talked about ailments, and their most common tell-tale symptoms. It is extremely important if you notice any of the following symptoms you contact your dentist immediately. It is important gum disease be stopped in its tracks as soon as possible. Gum disease is caused by an infection which attacks the jaw bone, eventually leading to tooth loss. Any of the following symptoms could be a sign of gum disease and should be taken seriously. A feeling of “loose” teeth, especially when you bite or place your teeth together. 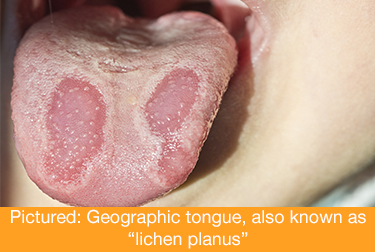 Oral thrush is caused by an overgrowth of yeast in the mouth. Low saliva levels are also a contributing factor to yeast infections. What can I do to minimise the risk of these issues? If you are concerned about your oral health, here is a short list we have created to help minimise the risk. Follow dietary and medical advice, this will help maintain glucose levels as close to an optimal level as possible. Maintaining glucose levels helps aid the immune system. Book regular dental check-ups. Your dentist will be able to offer advice regarding home care, early intervention and preventive measures to maintain optimal oral health.